With the upcoming Gibraltar Blackjack Tournament taking place on 15 November, it looks poised to elevate the game’s profile on an international level. But whilst many sports teams and athletes have become some of our planet’s most visible brands, it seems that the likes of blackjack will have to try a little harder in order to ensure the game’s popularity. Whilst the likes of football and athletics can gain full exposure across a variety of media channels due to them being considered a true sport, for other highly popular pastimes such as poker and blackjack, they have until recently been left to languish as being a mere ‘game’. Much of the debate has focused on the classification of the words ‘sport’ and ‘game’. Sports are traditionally identified as involving physical activity, with the likes of rugby and cricket providing clear examples. However, the debate has intensified due to sports receiving extra funding on behalf of governmental initiatives as it is believed that they help people live fitter and more productive lives. This has led to many games seeking to be reclassified as sports in order to raise their profiles and receive extra financial backing. However, with card games such as bridge recently losing their claim to become a sport, it seems that there will have to be other initiatives for gaming activities to increase their exposure. 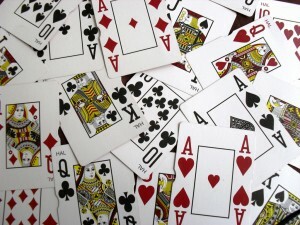 The popular card game of blackjack is one game in particular that has recently blossomed due to a number of high-profile ventures. Although the history of blackjack spans hundreds of years, it has often been sidelined as being a strictly adult affair, perhaps due to the element of gambling that is heavily associated with the game. However, with the rise of new technologies, blackjack players are now able to enjoy a plethora of gaming options, with high-profile tournaments looking to offer some enticing prizes into the blackjack gaming arena. Key amongst these is the forthcoming Gibraltar Blackjack Tournament which takes place in a glamorous Mediterranean hotel and features a minimum £5,000 prize for the lucky winner. Such tournaments are able to attract a global audience by offering mobile qualifying rounds for players to compete online in the hopes of reaching the grand final. 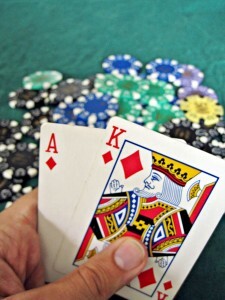 As well as these high-profile tournaments, blackjack has also raised its profile thanks to a variety of competitions taking place on television such as the World Series of Blackjack, as well as a huge range of online sites that enable gamers to play from the convenience of their handheld device. And whilst it may be some time before we see the likes of blackjack at the Olympic Games, it seems that blackjack’s star is definitely on the rise.